Hyperthyroidism is a disorder in which the thyroid gland in the body begins overproducing thyroxine, a hormone. Hyperthyroidism often involves a skyrocketing metabolism, which can trigger a myriad of symptoms that ultimately weaken the body's immune system and strength altogether when not medically treated. Because hyperthyroidism and hypothyroidism, the opposite disease, are lifelong conditions, it is essential to seek medical care from your primary doctor if you believe you may be suffering from an imbalance of hormones. If you notice a sudden drop in weight when you have the same appetite or the ability to eat more, you may have an overactive thyroid gland. Hyperthyroidism often manifests in both physical and mental symptoms, ranging from an increased or rapid heartbeat to anxiety, irritability, and overall nervousness without cause. Experiencing tremors in the fingers and hands, frequent sweating, and changes in menstrual and bowel patterns is common among patients who have been diagnosed with hyperthyroidism. Increased awareness and overall sensitivity to heat, along with muscle weakness and regular fatigue, can also be signs of hyperthyroidism. When you have trouble sleeping and you begin to notice skin issues or that your hair has become fine and brittle, it may be time to talk with your doctor. A noticeably enlarged thyroid gland on the base of the neck may also be prevalent in severe cases of hyperthyroidism that have already progressed. 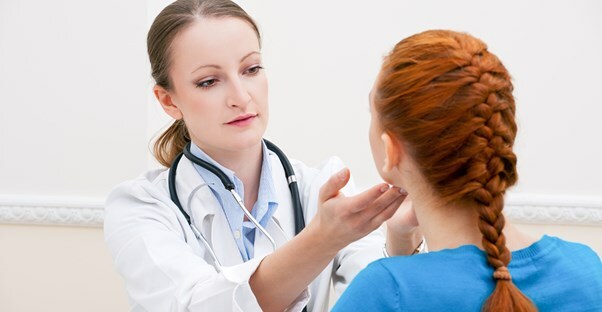 Although hyperthyroidism is treatable and can be managed without issue for most patients who have been diagnosed and seek regular medical checkups, the condition can be serious if left untreated. Getting regular blood checks for your entire body is highly advisable if you believe you may have hyperthyroidism, regardless of age. Diagnosing hyperthyroidism and hypothyroidism requires only simple blood tests. If you believe you may be suffering from hyperthyroidism, there are many different thyroid medications and solutions available today, depending on your blood test results and the severity of your hormone imbalance. There are antithyroid medications that are often prescribed by doctors, and treatment may also involve the use of radioactive iodine to reduce the body's overall production of thyroxine. When symptoms become too severe or thyroid levels are extremely unbalanced, a surgery may be required to remove the thyroid gland entirely. After a surgery, thyroid hormones will be taken orally to control metabolism.